Coming off a loss to Penn State in its Big Ten opener, Northwestern (2-5-2) must find a way to beat Nebraska (6-2-1) — a feat the Wildcats have not accomplished the last two times the teams met. “(Nebraska) was a tough game and our Big Ten opener last year,” coach Michael Moynihan said. The last time NU beat Nebraska was in 2008, before Moynihan was head coach and any of the current players were on the team. 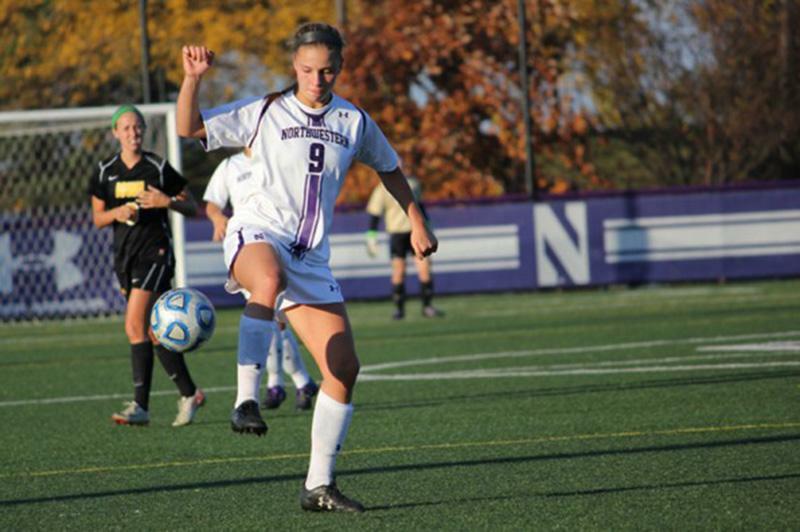 Moynihan first faced Nebraska during the 2012 season, when the Cornhuskers topped the Cats 2-0. “This year, we need to make amends for last year’s loss,” Moynihan said. Although the Cats lost 3-2 to the Nittany Lions on Friday, they have proved they are here to play in the Big Ten. In the past, Penn State has led the Big Ten with relative ease. Last year, the Nittany Lions did not fall once to a conference team, and they were the runner-up in the 2012 NCAA Tournament. In 2010, the team went 8-2 in conference play and shared the Big Ten Champion crown. Senior forward Kate Allen scored her first two goals of the season against the Nittany Lions. Although they marked the captain’s first goals of the season, getting a ball to the back of the net against Penn State was no easy task — it has only let up 15 goals in nine games, while scoring 27 times on its opponents. Last year against Nebraska, Allen led the Cats with three shots on goal, but the Cornhuskers shut them out. On Friday, the Cats will have their work cut out for them. NU faces a Nebraska team on a four-game winning streak that scores nearly twice for every opponent goal and averages 2.11 goals and 20 shots per game. Despite the Cornhuskers’ winning record, they have yet to chalk up a visiting win. The Cats, on the other hand, are 2-5-2 but have defended the home turf well with a 2-1-1 record. Freshman goalkeeper Jenna Hascher will have to bring out her A-game. “Jenna has emerged as the most consistent goalie this season and has been doing well,” Moynihan said. Hascher had a career-high 11 saves against Penn State on Friday and a total of 37 on the season. She started the season with more than 100 shutout minutes and has already had three shutouts through nine games. So far, Hascher has a goals-against average of 0.80 and has only allowed six balls to pass her. The Cats take on the Cornhuskers 7 p.m. Friday at Lakeside Field in hopes of boosting their home record.